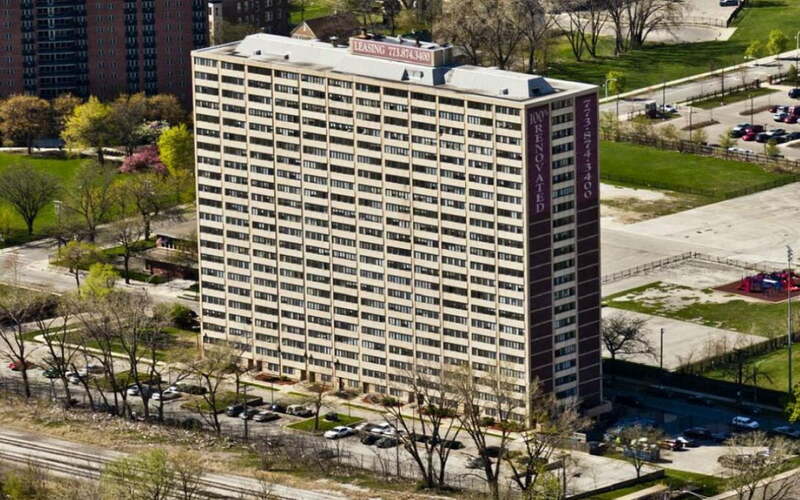 New Englewood Terrace Apartments has been listed for sale by Chicago-based multifamily brokerage firm Kiser Group. The 304-unit, 23-story building is listed for $20,750,000 and represented by Kiser Group’s Partner Noah Birk and Director Aaron Sklar. New Englewood Terrace Apartments are being marketed as a value-add investment opportunity. New Englewood Terrace Apartments features 60 one-bedroom units, 124 two-bedroom units, 80 three-bedroom units, 17 two-bedroom townhomes and 6 three-bedroom townhomes. The property was originally built in 1967 and renovated in 2010. The stabilized asset features rents from $625 to $1,050 per month. The retail center Englewood Square is a $20 million, 5.5-acre real estate development that is bringing jobs and higher quality goods and services to the area and is located just northwest of New Englewood Terrace Apartments across from the Kennedy King campus. Whole Foods, Starbucks and Chipotle are all within walking distance of New Englewood Terrace.